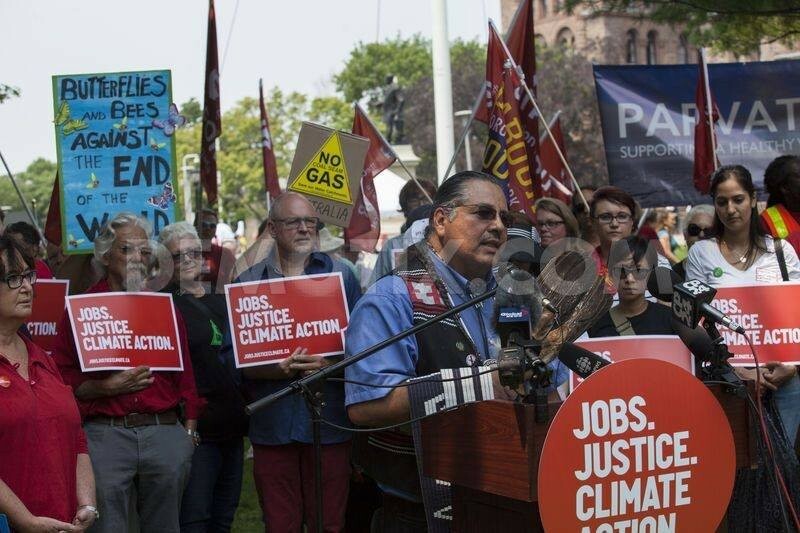 Chippewas of the Thames First Nation as well as other First Nations have a responsibility as stewards of the land to demand that the National Energy Board respect the Aboriginal and Treaty Rights of the Chippewas of the Thames First Nation. Enbridge has no right to pump dangerous oil through the community without consultation with, and consent from, Chippewas of the Thames, as well as other First Nations in Southern Ontario and Quebec. The NEB must reject Enbridge's 'leave to open' applications until the appeal is heard and First Nation rights are respected. Chippewas of the Thames First Nation seeks leave from the Supreme Court to appeal a decision of the Federal Court of Appeal which upheld a National Energy Board decision granting Enbridge Pipeline Inc.’s (“Enbridge”) authorization to reverse a section of pipeline between North Westover, Ontario and Montreal, Quebec, to expand the annual capacity of Line 9 from Sarnia, Ontario to Montreal from 240,000 bpd to 300,000 bpd, and to allow heavy crude, containing diluted bitumen to be shipped on Line 9. Chippewas of the Thames First Nation appeared before the National Energy Board and provided evidence of its existing Aboriginal and Treaty Rights in the vicinity of the pipeline project and potential risks associated with the new activity requested by Enbridge. The duty to consult with First Nations people and accommodate their interests is a constitutional duty invoking honour of the Crown, which requires that the Crown act with good faith to provide meaningful consultation appropriate to the circumstances and must be upheld. UPDATE: The Chippewas of the Thames First Nation is appealing the National Energy Board's approval of Line 9, and are going to The Spreme Court of Canada.! Please consider supporting the community by contributing to the legal cost fund. We the Chippewas of the Thames First Nation appreciate your help in the fight to better our environment and make sure that the next seven generations have clean water. Thanks Ken Hardy, Chief Leslie Whit-Eye and Myeengun for your contribution! Fossil fuels are redundant (as is resulting pollution) with next generation cleantech in play. Join the Facebook group THE GREEN MARSHALL PLAN for the discussion.